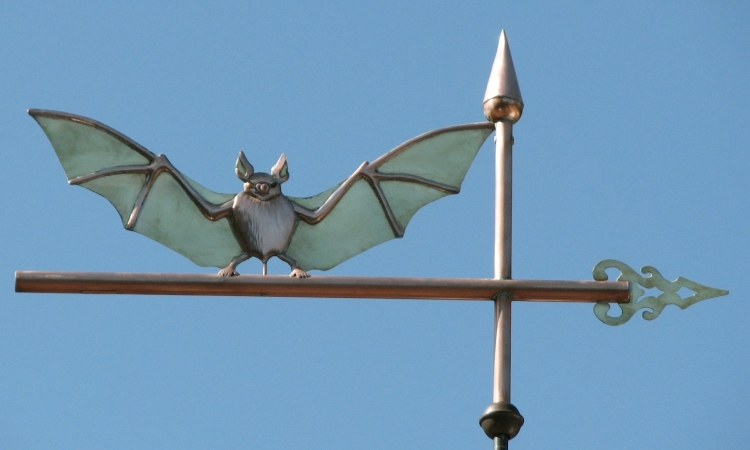 This Bat on Arrow Weathervane was conceived to be classic and a little Gothic in design. 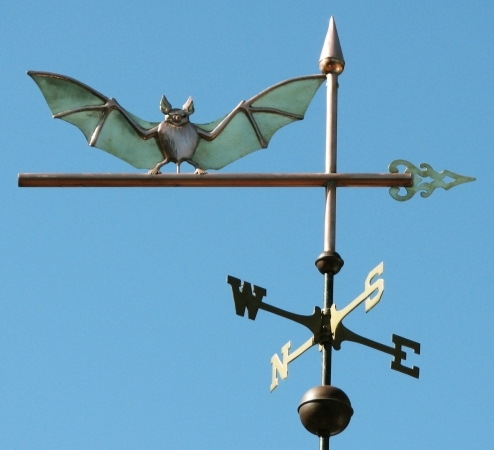 The detail of the arrow tip selected for the example pictured here adds atmosphere to that design intention. 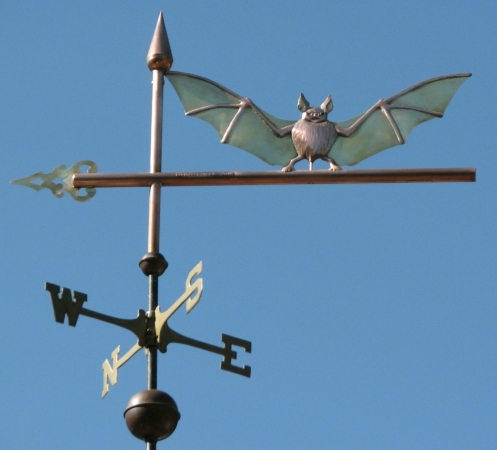 We have numerous options of arrow and fletching designs for you to choose between to create a particular style statement. 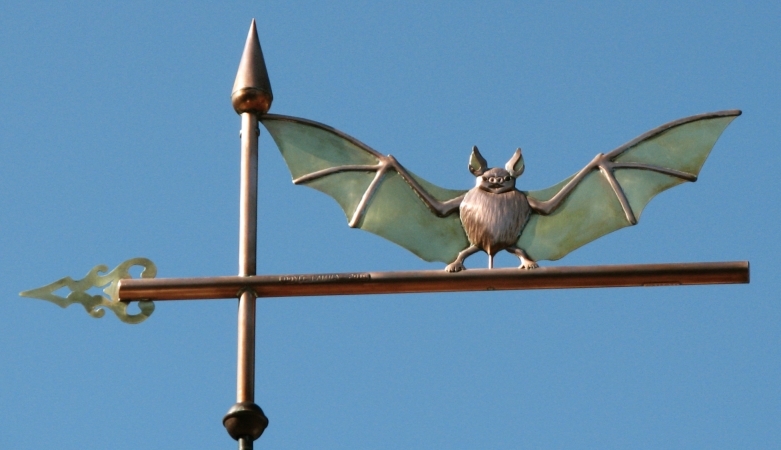 As seen here, the body and bones of the bat are crafted in copper, and the wing material is brass. These two metals will weather in similar ways with subtle variation over time. 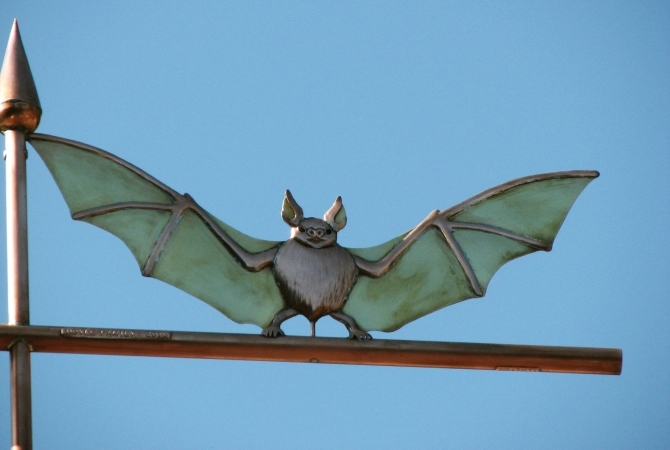 The bat is constructed in swell bodied style, and the sculpture piece is what we call ‘mirror image’ referring to the fact that you always see the face and front of the bat, whichever way the wind blows. The eyes are glass, and the color is chosen at the time you place your order. Also seen in the pictures is a plaque with a family inscription. And sealed inside are ‘lucky pennies’ chosen by the customer to mark important dates in their family.